Next week’s game will be at Seri Selangor. Please be there by 7:00am to start.Please let Andrew Robinson know of your intention to play. After the game we will follow Erol to ‘Betty’s’ Midwestern Kitchen for a slap-up lunch washed down with fine wines (Please BYO for all wine drinkers as Betty’s has no wine) to celebrate the RETURN OF MOSS!!!! Oh dear………! ALAN HOLGATE’S Birthday will be celebrated at the following week’s game. Keep on that (winding road) until you come to an underpass (with 2 tunnels). That’s about 2.5 km. Important! Take the right tunnel. Immediately after tunnel turn right. 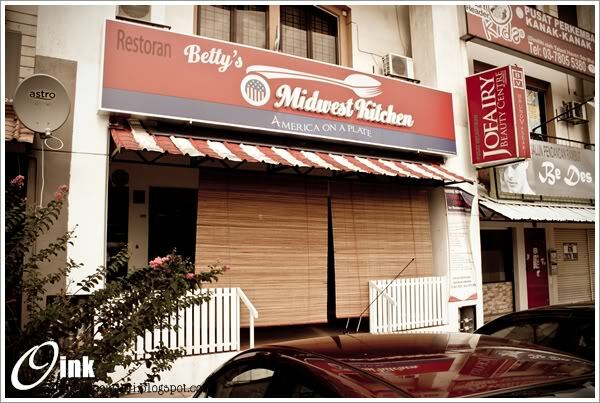 Betty’s is about 500 meter on your left. Address: A-G-40, Jalan PJU 1/43, Aman Suria Damansara, 47301 Petaling Jaya, Malaysia.